Home BOLLYWOOD Jai Gangaajal Trailer: Priyanka Chopra Is The Next Best Police In Town! 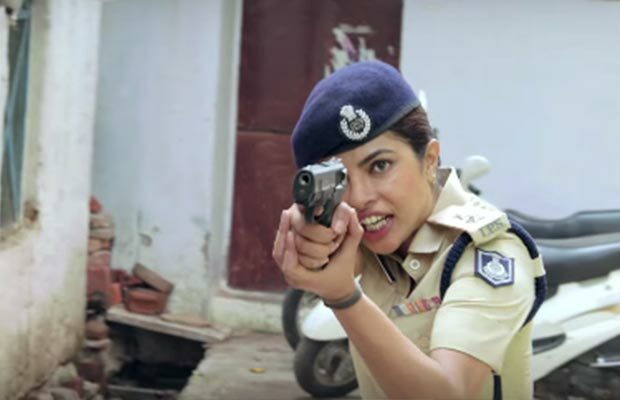 Jai Gangaajal Trailer: Priyanka Chopra Is The Next Best Police In Town! [tps_footer]Bollywood actress Priyanka Chopra is all set to break stereotypes with her role as a cop in Prakash Jha‘s ‘Jai Gangaajal’. The first official trailer of the film has been released now and we are already looking forward to the entire movie. Not very often do we get to see female centric movies where an actress plays the role of a police officer. Priyanka Chopra who is making major moves in Hollywood for her role as an FBI trainee in Quantico is all set to show some of that cop power in Bollywood with ‘Jai Gangaajal’. The trailer shows the ugly side of India where anything and anyone can be bought with enough money and power. In a place like that when a female cop enters with a goal of cleaning the mess out, things get interesting to the core. Priyanka Chopra and Prakash Jha together have performed so convincingly that it almost seems like they were born to play cops. Along with the superb direction of Mr. Jha, ‘Jai Gangaajal’s trailer has done its job of enticing the audience. Ever since it was announced that an ace director like Prakash Jha is teaming up with Priyanka Chopra the anticipation touched sky high to see what the outcome will be. Especially for a film like ‘Jai Gangaajal’, the prequel to watch saw Ajay Devgn as the protagonist. And we are more than satisfied with Priyanka stepping in the shoes of Devgn, doing as much justice to the role as any male actor could do. The actress has already established herself as a one woman show star and we will get to see the same in Jai Gangaajal as well. Previous articleDilwale Behind The Scenes: Shah Rukh Khan And Kajol Are Adorably Goofy In Bulgaria!